Auction vs Private Sale - Which should I choose? Auction vs Private Sale – Which should I choose? You are here: Home / Tips / Property tips / Auction vs Private Sale – Which should I choose? The decision on which way to sell a property should not be taken lightly. Auctions and private sales can offer different benefits depending on the situation. When you’re preparing to sell your home, and deciding whether to sell via an auction or pursue a private sale, it is important to understand the difference and decide which best suits your situation. An auction involves potential buyers bidding on your property. At the end of the auction, the highest bidder becomes the successful buyer of your property. However, a purchase can only go ahead if the highest bid given matches or exceeds your reserve price. A reserve price, is the cost of the home, set by you. Use your real estate agent for guidance. You can adjust your reserve on the day of the auction if need be. Once bidding reaches the reserve price, then your property is officially on the market. This means you must accept the price and the property will sell, even if the highest bid is only $1 over your set reserve. However, if the bidding does not meet your reserve, the property is ‘passed in’ meaning it won’t sell at that auction. You may then choose to offer your property via private sale or sell at a later date. Also known as ‘asking price or Private Treaty’. This is a less confrontational way to sell. The seller usually engages the services of a licenced real estate agent who markets the property and acts on behalf and in the best interests of the seller. 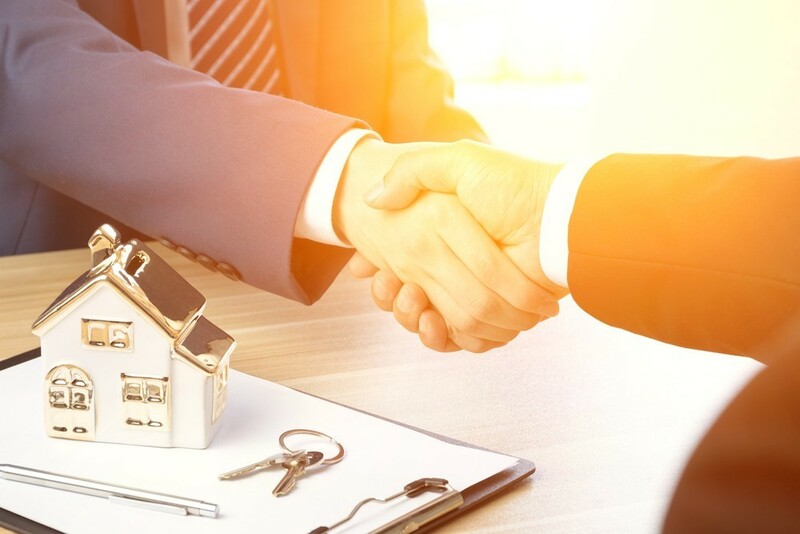 The agent is contacted by potential buyers and negotiations and contracts are drawn up between the two, as long as the price offered is acceptable to the seller. Sometimes, the seller may advise their agent to adjust their asking price or send out offers for expressions of interest to potential buyers to create momentum in the sale of their property. Auctions provide three opportunities to actually sell your property – prior to auction, auction day or, if the property is passed in, through negotiation. You choose the reserve price, so the property cannot be sold unless bidding reaches that magic number. You choose a settlement date that suits you. Auction campaigns can be expensive as they often require an advertising campaign. The seller is responsible for these costs, regardless of if the property sells or not. If your property is passed in, you may lose prospective buyers because it may indicate your price expectations are too high for the market. The public nature of an auction may turn buyers off, despite really liking your property. With no auction deadline, you can take your time to think about offers that come in. This means less pressure to accept low offers. People who express interest are typically genuine buyers. They know their financial limit and can commit to the offer they put forward. Private sales can give you greater flexibility with contract clauses during a negotiation. Sometimes, private sales cannot set times to inspect the property. This means you may need to make your home available at inconvenient times to potential buyers. If you choose a price that is too low, you may sell your property for lower than market value. If you choose a price that is too high, your property may not sell for weeks or months. A ‘cooling off’ period is usually included in the contract. This gives your buyer the option to change their mind. So how can you decide what is best for you and your property? Look at how most homes are sold in your local area. Ask your agent for case studies of both auction and private sale, so you have some facts to support the decision you make. Weigh up all associated selling costs when considering auction vs private sale. Make sure you are fully aware of your financial outlay and talk openly with your agent about potential risks. Auctions are generally very public and potentially high pressure in nature. Make sure you are emotionally ready and understand you may be asked to make a very big decision on the spot if bidding stalls or it looks like you may not meet your reserve on auction day. Whatever you choose, make sure you are comfortable and well versed in the requirements of your chosen sales method. If you have sold many properties before using one method, make sure you take into account your current circumstances as what may have been appropriate for one property in your past may not be suitable for another now.